If the AV referendum goes through, expect substantial changes to British politics – including an accelerated rise for the Green Party. Cameron’s Statement that multiculturalism has failed was a dangerous declaration of intent. David Cameron’s speech was reminiscent of Margaret Thatcher’s infamous 1978 statement that Britain was “being swamped by alien cultures”. He has branded Britain ’s Muslims as the new “enemy within” in the same way as Thatcher attacked the miners and trade unions. David Cameron is attempting to drive a wedge between different communities by linking Britain ’s multicultural society with terrorism and national security. David Cameron’s speech was made on the same day as the English Defence League brought its bigotry and violence to the streets of Luton . Mr Cameron’s aim is simple as it is crude – to deflect the anger against his government’s cuts from the bankers and onto the Muslim community. The prime minister is aping attacks by other European leaders like France’s Nicolas Sarkozy, who passed legislation banning the veil, and Angela Merkel, who has also made statements denouncing multiculturalism in Germany . Selling off England’s public forests could cost the nation more than it would save says Oxfordshire Green Party and would be environmental madness. Former Green Oxford City councillor Sid Phelps who was brought up in the Forest of Dean one of the forests up for sale says that new government figures issued today show clearly that the sale of the forests would cost £507.9m but yield benefits of only £495.9m. The figures come from the government department responsible for the sale (Defra) and have proved embarrassing to the Government who want to sell off extensive area of forest land in the New Forest, the Forest of Dean and the Lake District plus a wide range of over 130 sites scattered across the country. The Coalition Government’s own departmental impact assessment cast doubt over claims by ministers that the controversial sale would raise between £140m and £250m, helping the Department of the Environment, Food and Rural Affairs (Defra) meet its spending cuts target. “This was not in either the Conservative or the liberal Democrats manifestos during the recent election,” said Mr. Phelps. “There is no mandate for this and it’s clearly an attempt to privatize yet another public asset and hand it over to selective groups who will restrict access by the public and use the land for their own profits”. He went on to suggest we risk having leisure park companies taking over plots, logging companies cutting down the trees, golf courses being created and some waste disposal companies simply using the land as a dump. “There are also some companies that want the land to cut down the trees and grow bio fuels to produce oil for cars”, claimed Mr. Phelps. Caroline Lucas the Green MP in Westminster took a prominent role in the House of Commons debate during a recent adjournment debate and led opposition calls for the bill to be withdrawn. Ms. Lucas, who was an Oxford County Councillor in the 1990s, said that the legislation was being promoted as a way of raising money when in fact it would not do that. She has put down an Early Day Motion in the House of Commons asking for a full debate on the issue and so far 41 MPs other MP.s have signed the motion. Although the value of these woodlands on the open market is estimated at £220m, the Defra report describes them as “unsellable at a political and practical level” and says the option is therefore “unviable”. Selling the other smaller “community woodlands”, 130 small sites valued at £50m, would involve costs of £234.1m and bring in benefits amounting to only £231.9m. Online campaign group 38 Degrees say that more than 500,000 people have signed an internet petition to save the forests, with more than 75,000 writing to their MP demanding woodlands remain in public ownership. Sid Phelps former Oxford City Green councillor in St. Mary’s ward joined over 1,000 campaigners last weekend in the Forest of Dean for a ‘mass trespass’ on public land that was recently sold to a private individual. “This is a national disgrace”, said Mr. Phelps who has been calling on Oxfordshire people to sign the 38 Degrees on line petition calling on the Government to change its stance and withdraw the Bill. He said the proposed sale to trusts who will then lease out the land will jeopardize the work of the Forestry Commission who have done such excellent work for the public for almost 100 years. “If it isn’t broke don’t fix it,” he added. Shoppers keen to know the ethical status of the goods and services they want to buy can make real-time comparisons using a new mobile phone app that launched today. The Ethical Company Organisation’s best-selling Good Shopping Guide has been turned into an app, using its ethical product research which aims to cut through corporate “greenwash”. The ethical shopping advice will initially be available for use on iPhone, iPod touch and iPad at £2.99. Ten per cent of net revenue will go to green campaigners Friends of the Earth. The app lists over 700 well-known brands, ranked in 72 product-specific league tables under seven main sections, from food and drink to health and beauty to travel and energy. A summary table shows “the good, the bad and the ugly” brands in relation to the environment, human rights and animal welfare. Points scores give an overall “ethical rating” to easily identify the best performing brands and companies. Although there is growing awareness of the benefits of fair trade and organic goods, Sankey believes there is less information that gives consumers an overall ethical footprint of the product and the company behind the brand. “Shoppers may be surprised to find that often there is not a price premium [on ethical goods],” he said. Beko, for example, makers of the cheapest larder fridge is also the top-scoring ethical brand in this category. Popularity is no predictor of a high ethical score in the guide. In the tea section, the UK’s biggest brand, Tetley Tea, scores an Ethical Company Index (ECI) rating of just 57 out of a 100, compared with Cafédirect Tea (100), Yorkshire Tea (96) and Typhoo (91). Coalition plans to sell off swathes of England’s publicly-owned forests have been published in the face of widespread public opposition and questions over the economic case for the proposals. Private owners could be allowed to take over management of nearly half a million acres of land previously owned by the Forestry Commission. Some 15% of the forest estate, worth an estimated £100m, is already being sold. This latest consultation could lead to the sale of the remaining 85%. 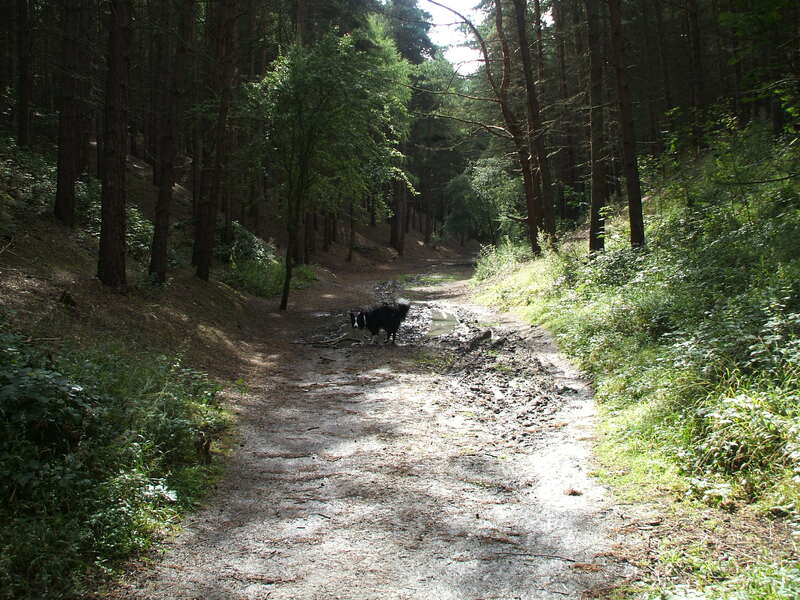 “There was a public consultation on the Public Forest Estate less than 18 months ago. We don’t need another one. “The public have already made it clear that they want to maintain public forests – and many are now concerned that the Government’s misjudged and short-sighted plans pose a serious threat to whole swathes of our much loved woodlands. “Despite Caroline Spelman’s belief that the Government should not involve itself in forest management, there are very good reasons for our woodlands and forests to remain under public ownership. “The Forestry Commission has a proven record in environmental protection and managing sites of special scientific interest. It is highly unlikely that the same kind of long term care and protection would be afforded to the land once in private hands. “Furthermore, access rights on Forestry Commission land go far beyond the basic rights of access that the law offers. “And if the Government’s claims about environmental protection are true, the sell-off makes no economic sense either. Who will want to buy this land unless they can develop it into a profit making enterprise? You are currently browsing the The Northants Green Party Blog blog archives for February, 2011.